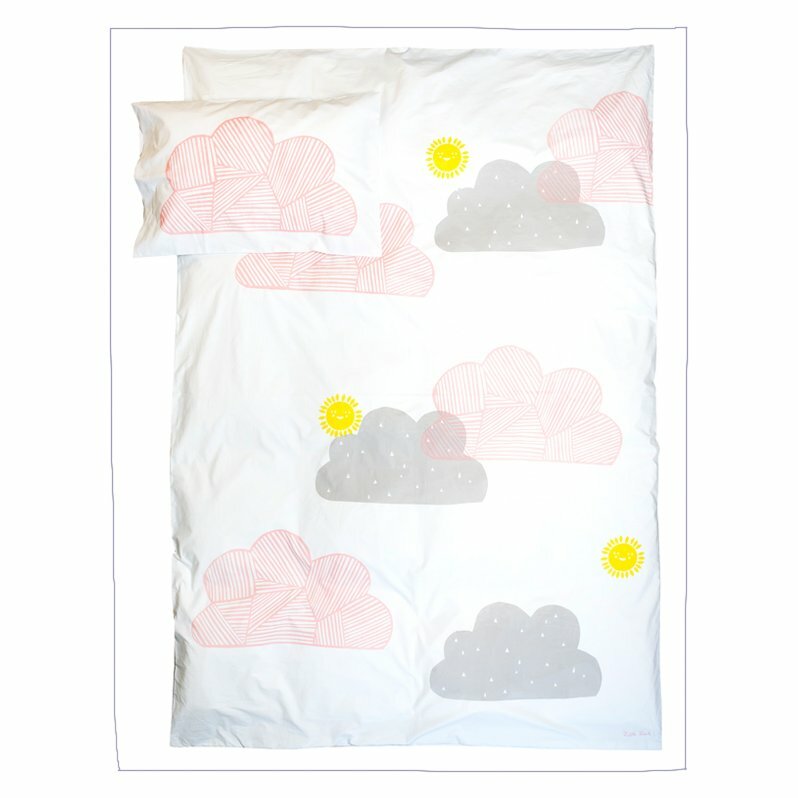 We cannot get enough of all the beautiful children and babies bed linen that is swooping all over the socials! So many amazing brands, doing amazing things and can we just take a moment to crush on the watermelon bed setup above, is it not just the best... wonder if it comes in adult size?!!! Check out my edit below of some of my favourites out there at the moment, some fun, cheeky, minimalist and colourful options - something for everyone! We love children's room decor and we love top tips - Lavender Hill Interiors has provided their 7 top tips to achieve a timeless kid’s room that is chic, and that has style that will stretch as child grows. 1 - Keep it simple - A neutral colour palette is key to a great child’s room. Choose light airy neutral colours, this creates a chic base as well as a calm atmosphere. Neutral colours give you flexibility to add pop of colours with accessories like bed linen, cushions and throws. 2 - Layers of love – Add more texture. Choose comforting fabrics such as bamboo sheets made from high quality organic bamboo. The collection is designed with understated, classic elegance and features cooler colours that will contrast beautifully against a Lavender Hills upholstered bedhead. 3 - Grow with me – Invest in classic and timeless furniture that will adapt to the growth of a child. Lavender Hill Interiors bedside table and chest of drawers which feature fluted legs and drawers, or Incy Interiors teeny change tables which is adaptable and can be later used as a bookshelf when baby gets a little bigger. 4 - Frame it – select wall decals that have a mature twist such as Alan Walsh Posters and can be transferred from the bedroom to the lounge. 5 - SPACI-AL Awareness: For all those bits of lego! Yes, you know it! Invest in chic storage such as Olli Ella’s range of baskets which will empower rather than overwhelm the room like plastic containers do. 6 - Throw down your style. Introduce warmth into your children’s room with a statement throw or rug that is durable, made from quality material and will help protect the carpet underneath from natural spills and thrills when children play! Fab Habitat’s Tangier in Celery and White which is woven from straws made up of recycled plastic, so you can just shake or hose off for easy cleaning. 7 - Children have a say – it is important that your child enjoys the process and feels as though they had input. Kids enjoy imagining their dream room and are interested in designing their own bedroom. Nubo is an innovative new educational play space that connects families through purposeful design and quality learning experiences. A place to exercise your imagination, and the first of it's kind in Australia. Nubo, meaning cloud, is a highly designed play centre space that helps children and families play, explore, connect, grow and learn together. Celebrating the innocence of childhood, Nubo brings play back to its essence, combining beautiful, uncomplicated spaces and bespoke educative playing tools – a place to exercise imagination and experience pure play. And what caught our eye initially about this amazing concept was it's thoughtfully designed interior. Every colour, material and design element was considered and the overall feel of Nubo is soft, gentle and inviting. Find out more about Nubo here. Uimi knitwear has launched it's Summer 2015 range and it is absolutely stunning. The luxurious feeling knit is as gorgeously soft and snuggly as ever and I am loving the homewares colour palettes of deep green, black and white against the berry, lavender and taupe. The design focus is chevron, zigzags, colour blocking, spots and stripes with some gorgeous stitching elements for even more texture. The kids bedding range is fun and punchy with spots, stripes and triangles. The colour choices of yellows, oranges, blues and greys work seamlessly for both boys and girls rooms. Every uimi product is designed and manufactured in Melbourne, Australia using the highest quality renewable fibers; from fine Australian merino wool to luxurious Egyptian and organic cotton.